Each year since 2015, 11 February has been dedicated to women and girls in science. The day was set aside by the UN to recognize the critical role women and girls play in science and technology communities. So today we are proud to profile women of our past, present and future. Mavis joined the Forest Service in 1958. She specialised in the study of sika deer, becoming a world authority in the ecology of the animals. 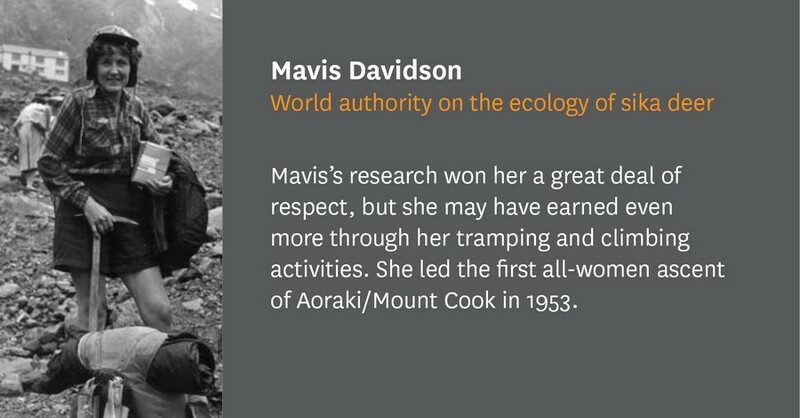 Mavis’s research won her a great deal of respect, but she may have earned even more through her tramping and climbing activities. 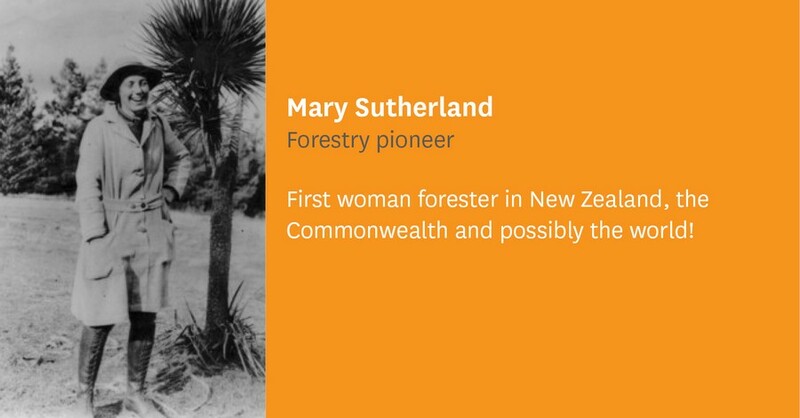 In 1946 she was refused inclusion in a Tararua Tramping Club trip to the Southern Alps because the leader objected to having women in the party. From then on she organised her own trips, notably leading the first all-women ascent of Aoraki/Mount Cook in 1953. At the age of eight, Ruth Gadgil (then Ruth Weston) knew she wanted to be a naturalist. And a naturalist she became, gaining honours in Botany at the University of Birmingham and a PhD in 1960 and started a career devoted to growing plants in difficult places. 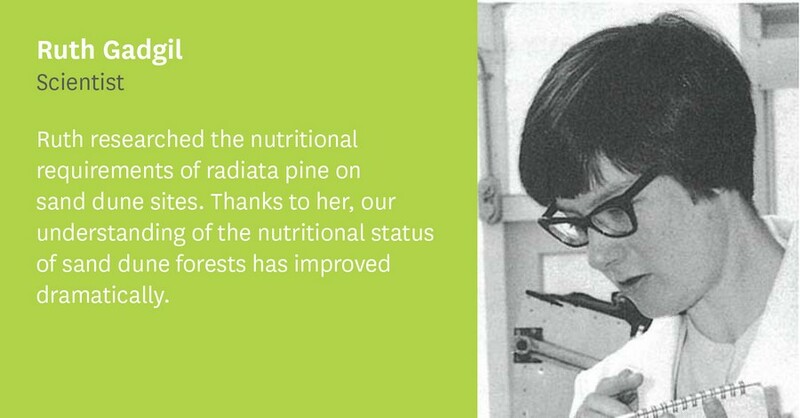 Ruth started at Forest Research Institute (FRI) in the nursery a wageworker then quickly became involved in working on the nutritional requirements of radiata pine on sand dune sites. Thanks to her, our understanding of the nutritional status of the sand dune forests has improved dramatically. Blanche, known as Lois at FRI, had a background in pharmacy. She was the first woman at FRI to be promoted to technical officer. But perhaps her greatest contribution was to the cause of equal pay for women. 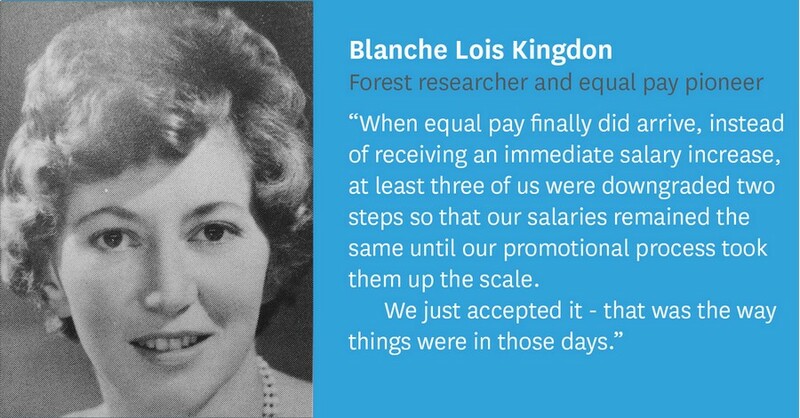 At a time when female technicians were paid something like £300 less than men on the same grade, Lois successfully applied for a Senior Technician’s job at Waipa and insisted on receiving the same salary as the previous (male) appointee. Then the trouble began! Her appointment had been announced but then it was cancelled by the State Services Commission, with an apology to the effect that they had not realised she was a woman. Never one to take things lying down, Lois sought back up from the PSA and helped compile a submission that contributed to the “equal pay for equal work” legislation. Reference: “Characters of FRI”, edited by Ken Klitcher. 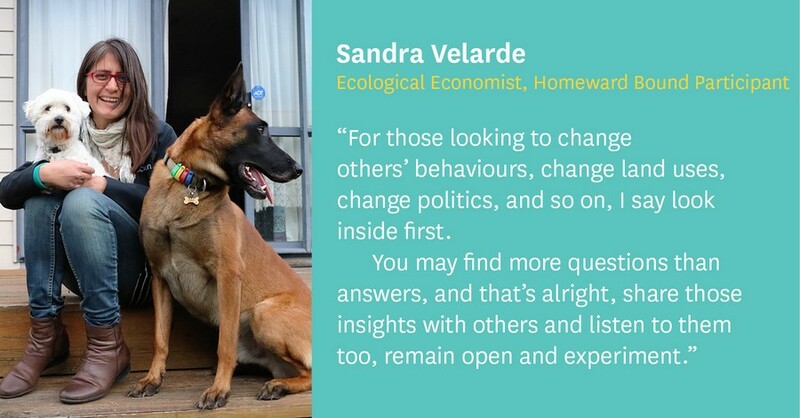 Economist and member of the Forest Systems team, Sandra Velarde, is about to set off for Antarctica as part of the Homeward Bound women in science, leadership programme. Sandra is one of 78 female scientists who have embarked on a year-long journey of virtual leadership, culminating in the three week voyage by sea to Antarctica. Sandra says, "I’m not a fan of the cold and Antarctica has hardly been in my bucket list. But the moment I learnt about a global leadership programme for women in science, the idea of joining other women for three weeks at sea in the Antarctic peninsula, somehow made sense. We have gone through a year of sharing our experiences in life and at work. The diversity of backgrounds and networks and our common vision, to help make a better world by changing ourselves first, was what first attracted me to the programme. Each participant gets something different from Homeward Bound. For me, self-reflection and introspection have been at the heart of my experience. Being part of the programme was the nudge that pushed me to put my hand up for new projects, to constantly ask for feedback and to be open to it, to experiment more and to integrate activities I love (like drawing and design) in my daily work. The future is bright and secure in the hands of scientists like Shulan Qiu. Shulan is a recent graduate of John Paul College, Rotorua. Over the past few years she’s been has been mentored by Scion staff Sarah Addison and Beccy Ganley on a project (also with Kesia Kurian) to isolate nitrogen-fixing organisms from soil samples. The highly successful project has earned Shulan and Kesia five science fair prizes at the Bay of Plenty Science Fair, a silver CREST award, and a ticket to the Kennedy Space Centre in Florida as semi-finalists in the Conrad Spirit of Innovation Challenge. Shulan returned to Scion in 2017 under the mentorship of Ali Nazmi. They worked on a project looking at how microorganisms interact to breakdown bioplastic PHB. She has just returned from the Taiwan International Science Fair, where she won second prize for her poster on the project. 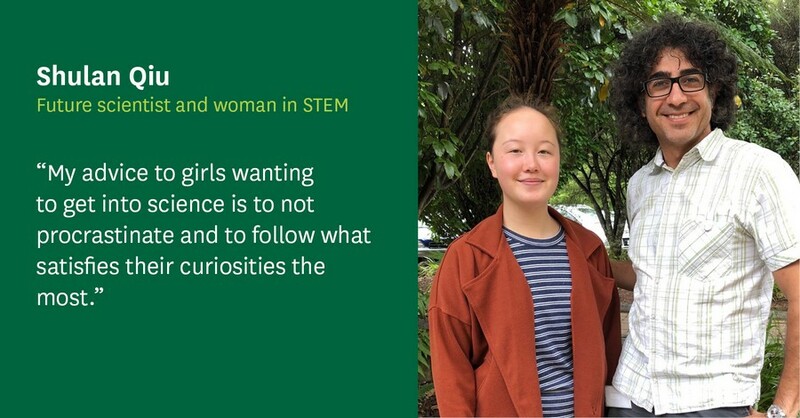 Shulan is starting her Bachelor of Science at the University of Otago this year. Women are still under-represented at all levels of science, technology, engineering and mathematics (STEM) disciplines all over the world despite the progress towards increasing participation in higher education. According to a study conducted in 14 countries, the likelihood of female students graduating with a Bachelor’s degree, masterate or doctorate in science-related fields are 18%, 8% and 2% respectively, while the percentages of male students are 37%, 18% and 6%.